Wayne State University Press, 9780814333150, 177pp. For more than a decade, Karen Chase taught poetry writing to severely incapacitated patients at a large psychiatric hospital outside of New York City. During that time, she began working with Ben, a handsome, formerly popular and athletic young man who had given up speaking and had withdrawn from social interaction. Meeting on the locked ward every week for two years, Chase and Ben passed a pad of paper back and forth, taking turns writing one line of poetry each, ultimately producing 180 poems that responded to, diverged from, and built on each other's words. 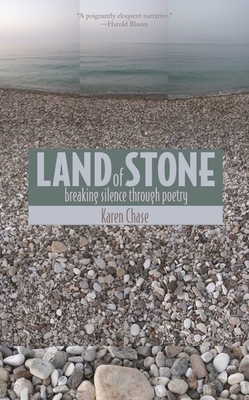 Land of Stone is Chase's account of writing with Ben, an experience that was deeply transformative for both poet and patient. In Chase's engrossing narrative, readers will find inspiration in the power of writing to change and heal, as well as a compelling firsthand look at the relationship between poet and patient. As she tells of Ben's struggle to come out of silence, Chase also recounts the issues in her own life that she confronts by writing with Ben, including her mother's recent death and a childhood struggle with polio. Also, since poetry writing seems to reach Ben in a way that his clinical therapy cannot, Chase describes and analyzes Ben's writing in detail to investigate the changes that appeared to be taking place in him as their work progressed. A separate section presents twenty-two poems that Chase wrote with Ben, selected to show his linguistic development over time, and a final section offers Chase's thoughtful reflections on the creative process. Karen Chase is an accomplished poet. Her poems have appeared in numerous magazines, including The New Yorker and The New Republic, and have been anthologized in The Norton Introduction to Literature, The Norton Introduction to Poetry, and Billy Collins's Poetry 180. She is also the author of Kazimierz Square: Poems.